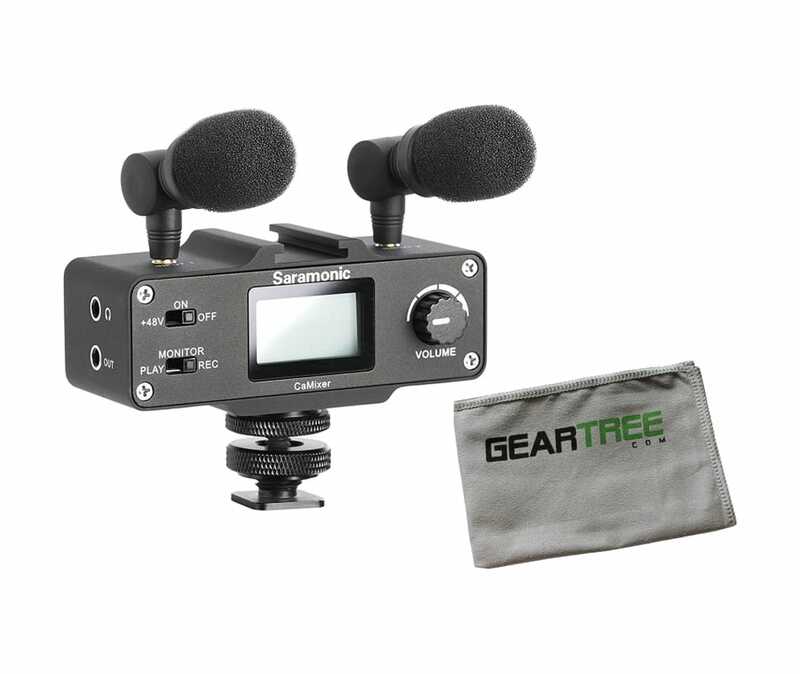 The Saramonic CaMixer is a two channel, professional audio mixer designed to work with DSLR cameras and video cameras.The CaMixer is designed with maximum portability in mind - while still delivering professional quality audio recording. Featuring one mini-XLR input and two 3.5mm stereo mic inputs, as well as phantom power and a headphone monitoring jack, this mixer is capable of capturing high quality recordings while in the field or on the go. The CaMixer comes with two condenser microphones, plus all necessary mounts and connectors - everything you need to start recording straight out of the box. Just mount it on your camera, plug it in, and you're ready to go! 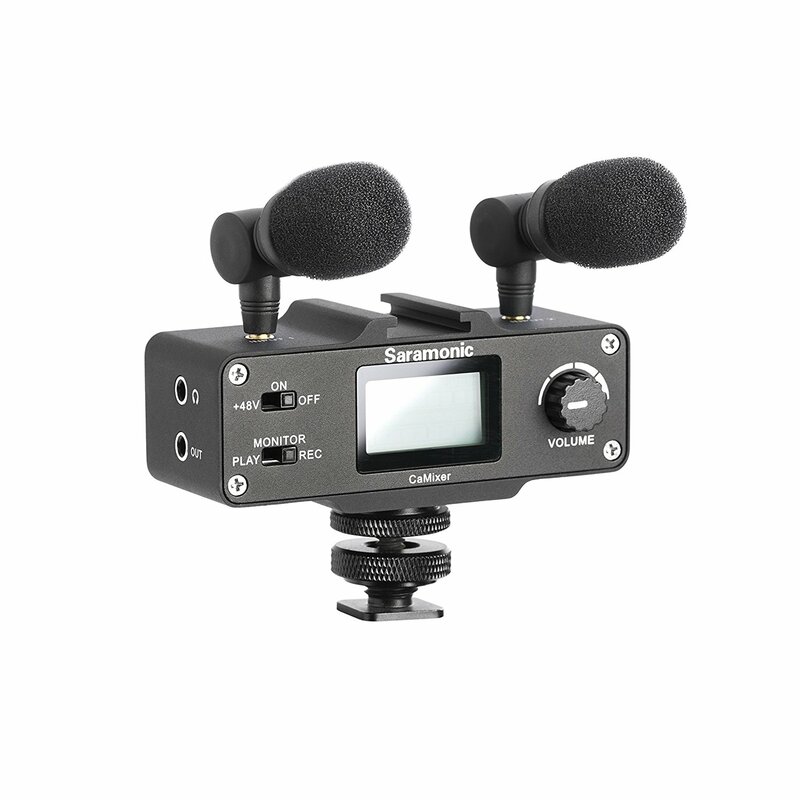 The Saramonic CaMixer is a two channel, professional audio mixer designed to work with DSLR cameras and video cameras. 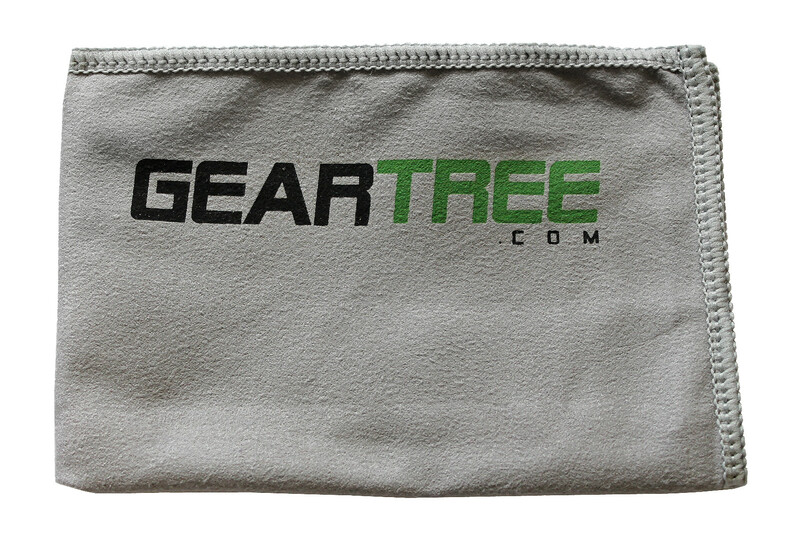 The CaMixer is designed with maximum portability in mind - while still delivering professional quality audio recording. Featuring one mini-XLR input and two 3.5mm stereo mic inputs, as well as phantom power and a headphone monitoring jack, this mixer is capable of capturing high quality recordings while in the field or on the go. The CaMixer comes with two condenser microphones, plus all necessary mounts and connectors - everything you need to start recording straight out of the box. Just mount it on your camera, plug it in, and you're ready to go!